Forvan conducts business in a friendly, honest and professional manner. Forvan has expertise in varying fields of IT. Forvan can work with your existing in-house IT individual or department to continuously monitor and maintain an efficient system. Forvan handles emergency/critical issues first as pre-determined by a qualified Forvan support representative. Forvan recommends ways to save time and money. Forvan records and track all problems, inquiries, or other types of calls received by our support staff. 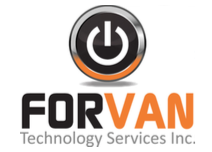 Forvan forecasts any future technology requirements and can assist with design, planning, and implementation for all areas that affect the technology infrastructure. Forvan evaluates any new software or hardware possibilities and makes appropriate recommendations. Forvan will document your problem and the actions taken to resolve the problem. Forvan maintains a 4-hour response time either by phone, remote or on-site. (during regular business hours). Forvan uses an economical formula in order to provide the best service and Information Systems Support for every dollar invested. Forvan assigns a dedicated account rep to all clients. Forvan can assist with the transition of new applications and systems that include support, planning and coordination of the necessary activities. Forvan will recommend infrastructure modifications and help create a smooth transition when implementing any new business requirements.